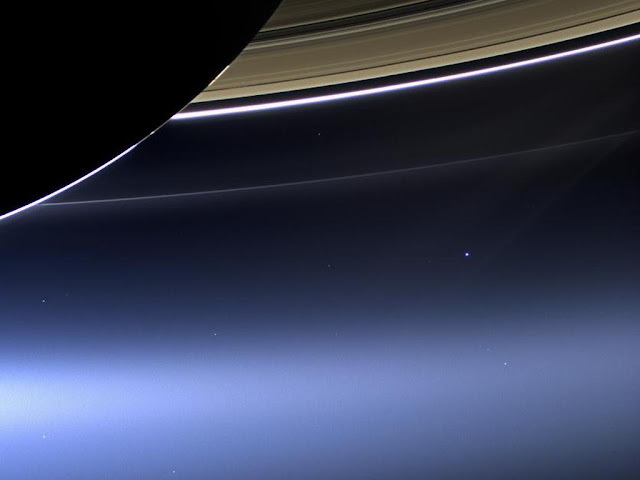 This photo of Earth from the Cassini spacecraft near Saturn really puts things in perspective, doesn't it? Doesn't it?! !